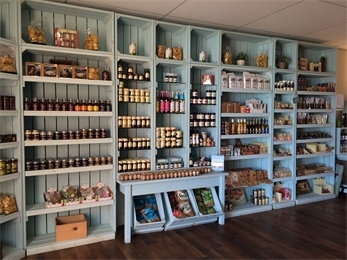 We stock a wide range of high quality foods. Wherever possible we will always support local industries. This includes seasonal poultry reared locally. FACT: My 90 year Grandma rears our turkeys and has been producing farm fresh turkeys for years. Her secret is she sings to them everyday!! HAPPY BIRDS!! We appreciate our customer’s desire for quality and consistency of their beef. We believe that we can achieve this through selection and cutting of meat and we can provide full and reliable traceability. 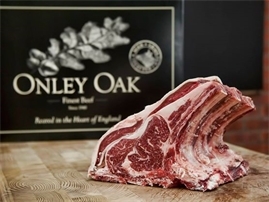 This ensures that we meet demands of todays world where people want to know here their meat comes from whilst providing fabulous quality beef. 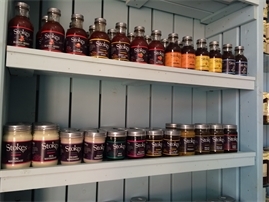 "The story of Stokes Sauces began with a food business start-up born from the belief that food should be honest, clean and taste delicious." Stokes Website. 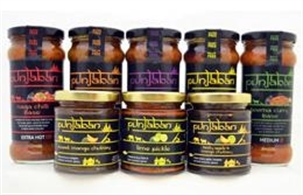 We believe that Stokes provide best range of condiments and sauces. Every product is made from the finest ingredients. A lovely family business, made in Northampton. Tastes like a freshly made curry. Our customers love it! A Sussex based company which produces fruit juices that have unique provenance and authenticity. 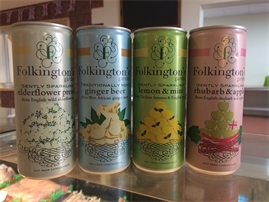 All Folkingtons drinks are 100% natural and are made from wonderful pure juices (not from concentrated juice), and are free from unnecessary artificial additives. 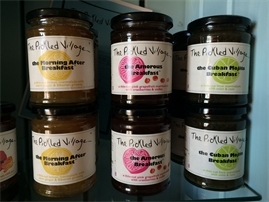 The Pickled village is a range of internationally inspired, British-made chutneys, preserves, marmalades, marinades & dressings are dreamt up in the kitchen at Bulwick, Northamptonshire and then put to the test in their local village shop! You have to try it to believe it!! 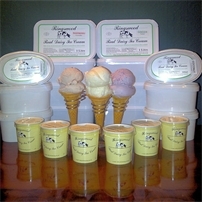 Ringswood Ice Cream takes it’s name from the Ringswood herd of Pedigree British Friesian Cows from which milk is used in the production of the ice cream , this delicious Artisan Ice Cream is produced on the family farm at Pailton on the Warwickshire/Leicestershire borders.